Stamp a Little Love Baby! 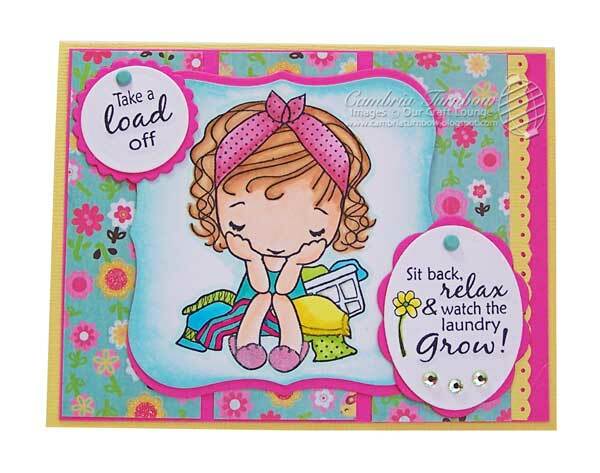 : Take a Load Off! How cute is this. Love it. Not sure about looking like someone but most of us do resemble the 'buried in laundry' look! Oh Cami, this is ADORABLE!!!! I love this card! The sentiments are perfect. This card is just so precious, I love the coloring and the verses. Your a real hoot, I love your sense of humor. 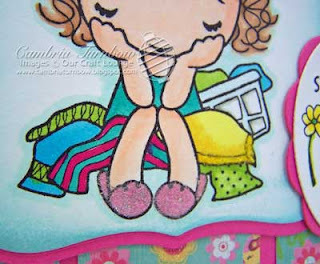 Adorable card and your colors are just so vibrant. Love the layout too. Soooo, is it okay if the laundry is still "growing" in Texas?? I'm expecting a windfall of the stuff when DH gets back home! Yikes! so cute! do love the image you used, the layout is sweet and such pretty DP used. aren't TGF so much fun! have a good one!